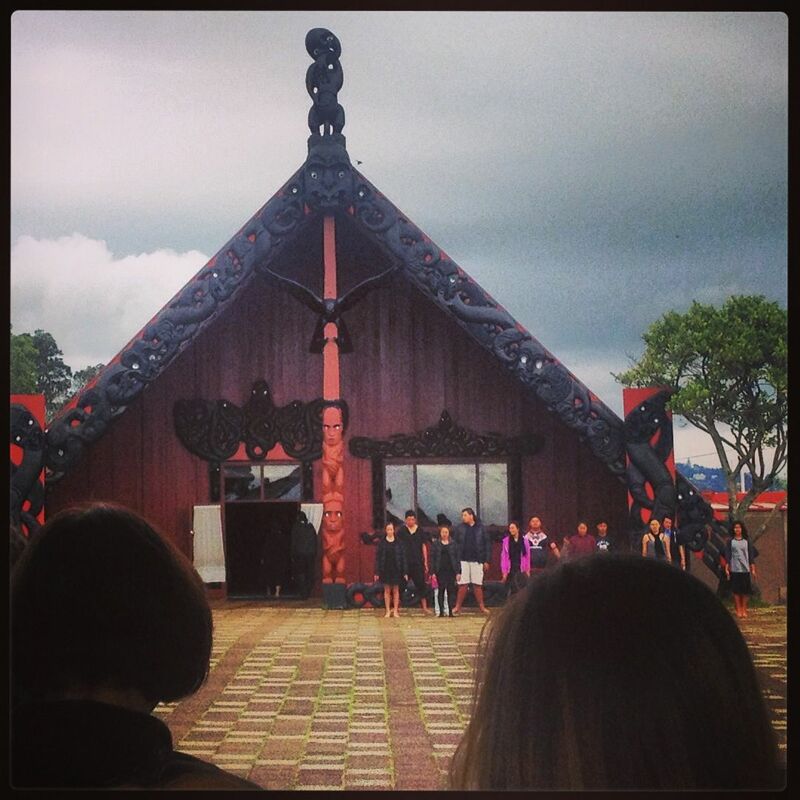 Way back in the beginning of September, the kids and I were invited to take part (along with Jamie and the Think Global students) in a traditional welcome from the local Maori Community. 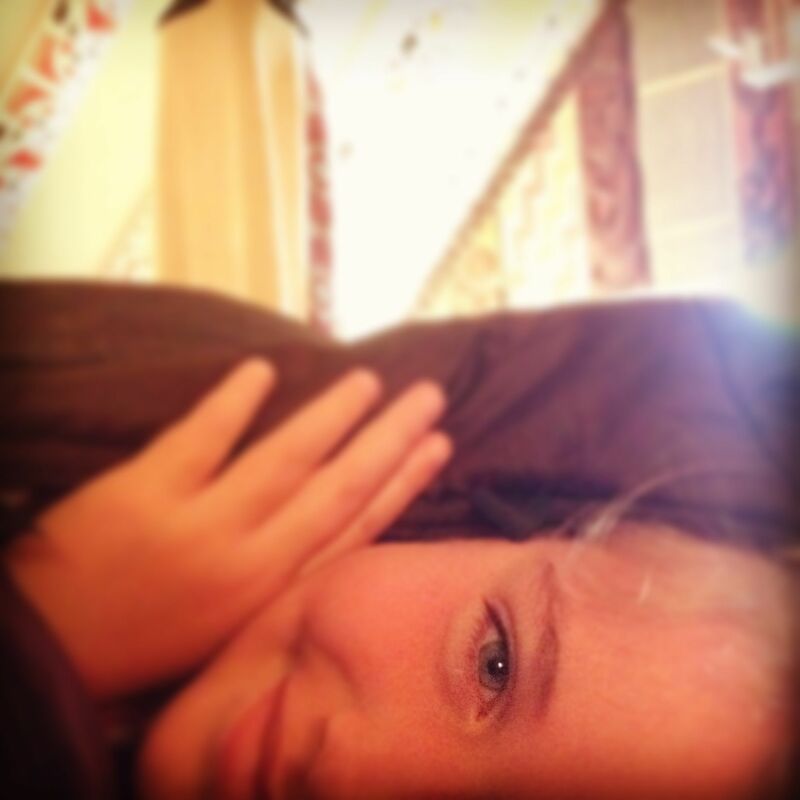 This was a special welcome, much more intimate than a typical tourist would be exposed to. 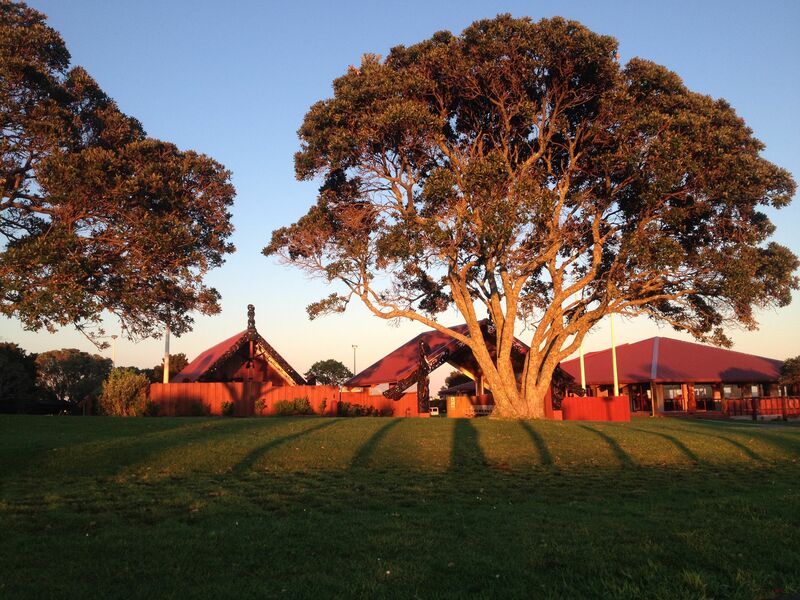 The kids and I came early to New Zealand so we could take part in this very special weekend planned and hosted by students and adults at the Orakei Marae. I’m so glad we were able to attend this event. 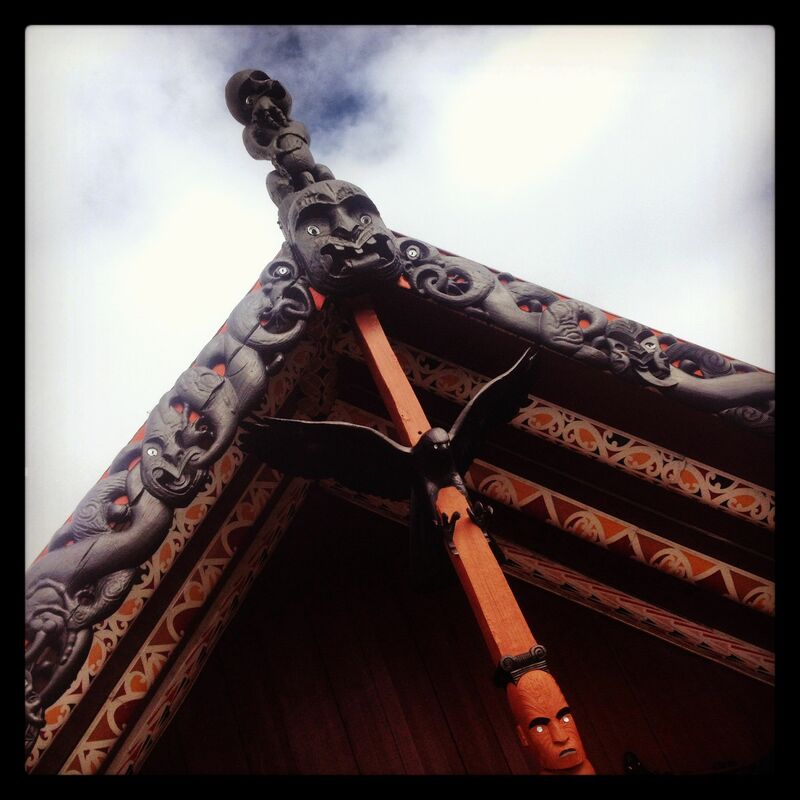 It was the perfect way to introduce us to the Maori people and their traditions. 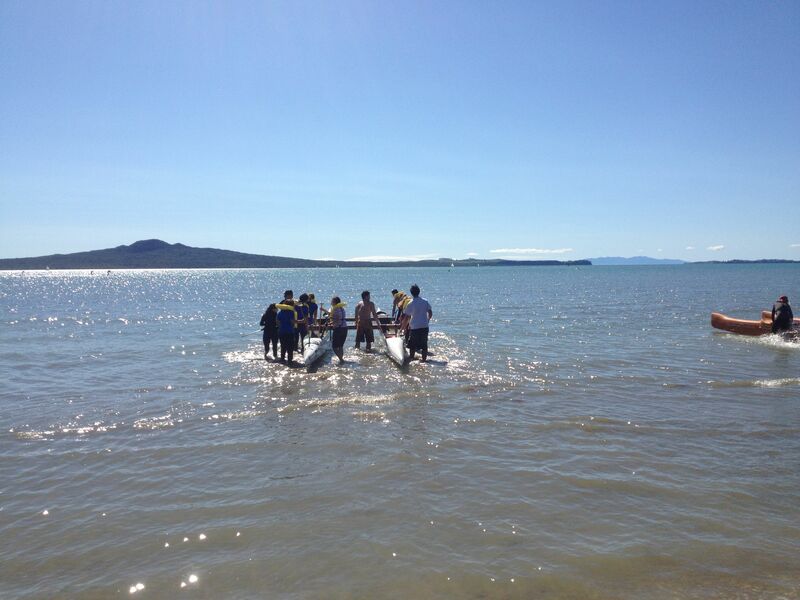 Below I’ve included the Think Global School video that Lindsey Clark filmed during the weekend. Please watch it because it is so informative. In the video you’ll hear Fiona’s voice walking us through the introduction to the welcoming ceremony and explaining the meaning of each step. 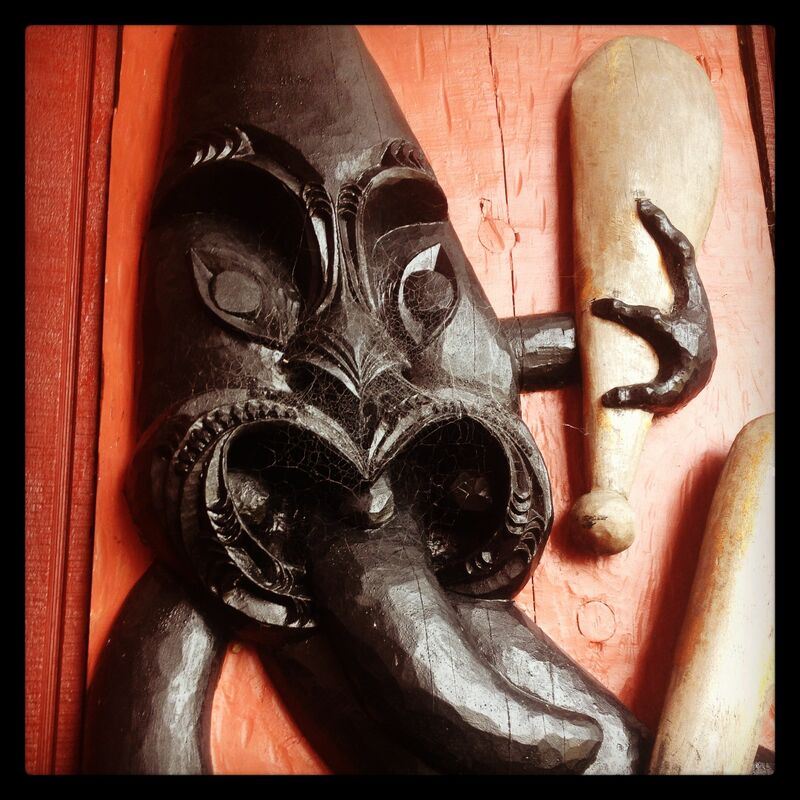 We wait to be welcomed outside of the Maori Meeting House or Wharenui. Forehead to forehead, nose to nose, breathe. 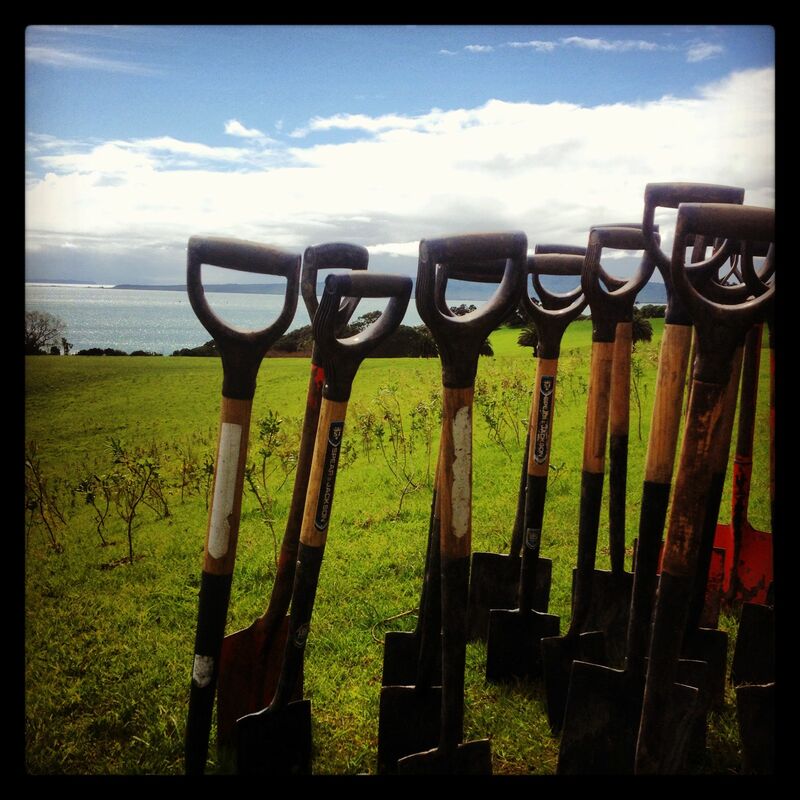 Preparing to plant trees on the Orakei Domain. Our host Tehira was awesome. 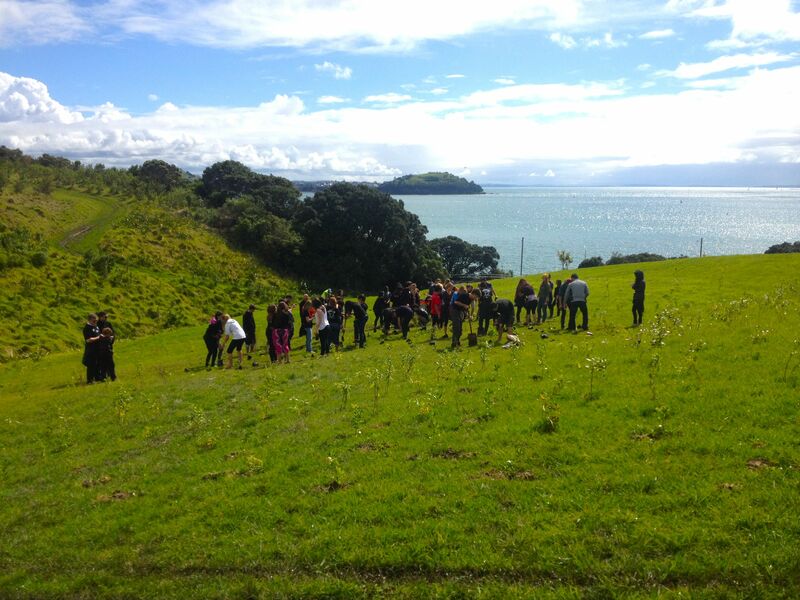 While the students planted the trees, he gave us a brief history of the land we were standing on. He and his family peacefully protested for 500 days to get their land back in the 1970’s. In January 1977, some of the hapu, calling themselves the Orakei Maori Action Committee, took direct action to stop the subdivision. They occupied Bastion Point for 506 days, refusing to leave their ancestral lands. 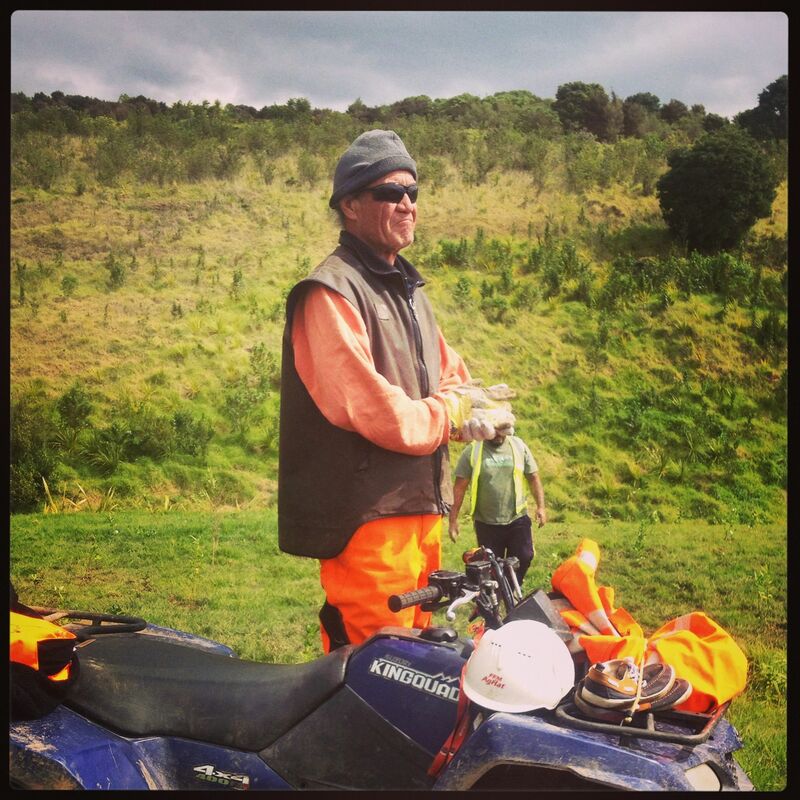 The protests caused a split within the tribal ranks as this was the first time their protests had broken the law – by trespassing on Crown land. On 25 May 1978, the Government sent in a massive force of police and army to evict them. Two hundred and twenty-two protesters were arrested and their temporary meeting house, buildings, and gardens were demolished. The Bastion Point occupation became one of the most famous protest actions in New Zealand history. 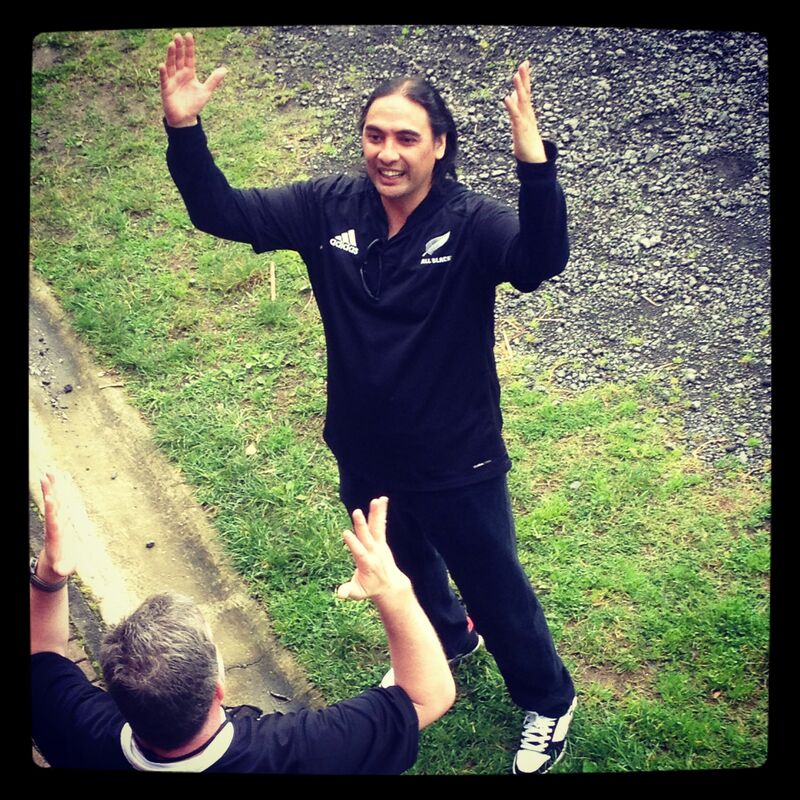 Jerry teaches us a traditional Maori Haka. 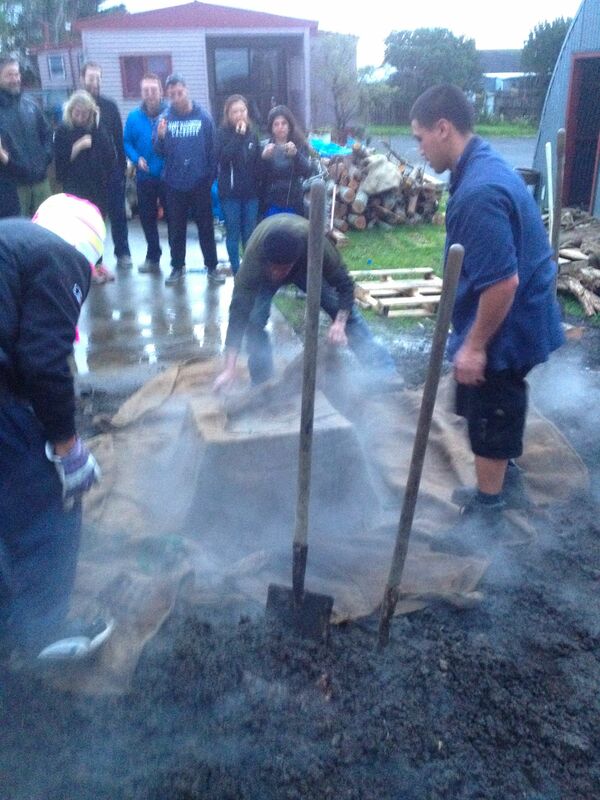 A traditional Hangi meal is being uncovered. First, a hole is dug in the ground. 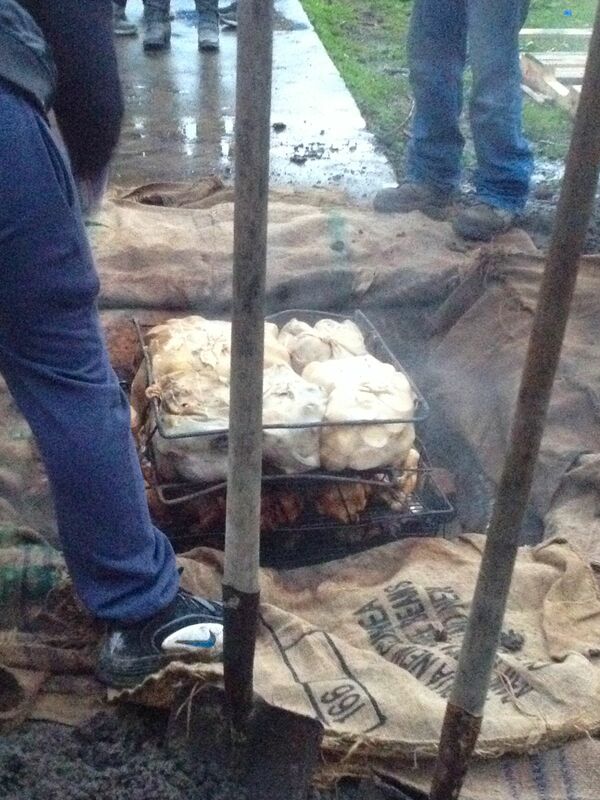 Three to four metal crates are filled with various meats, pumpkins and potatoes. They are wrapped in burlap and covered with hot rocks. 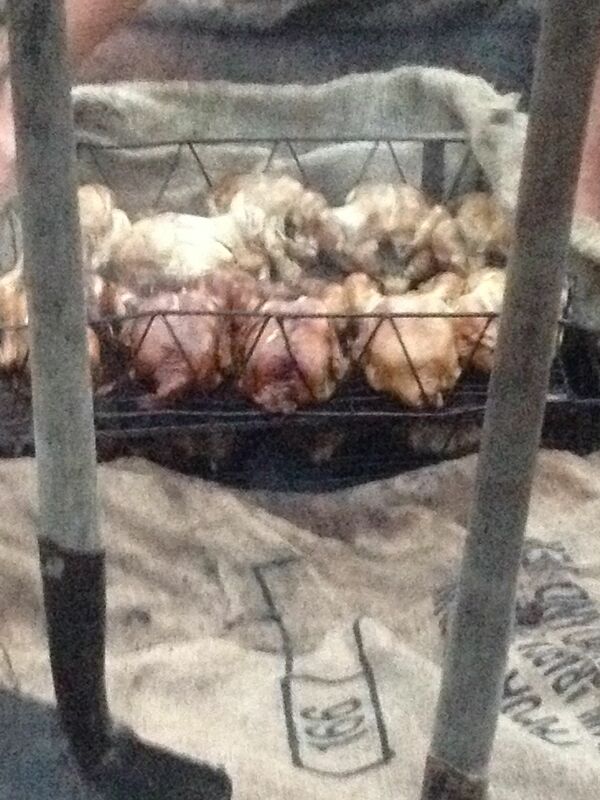 They cook under ground for a couple of hours and then are uncovered. 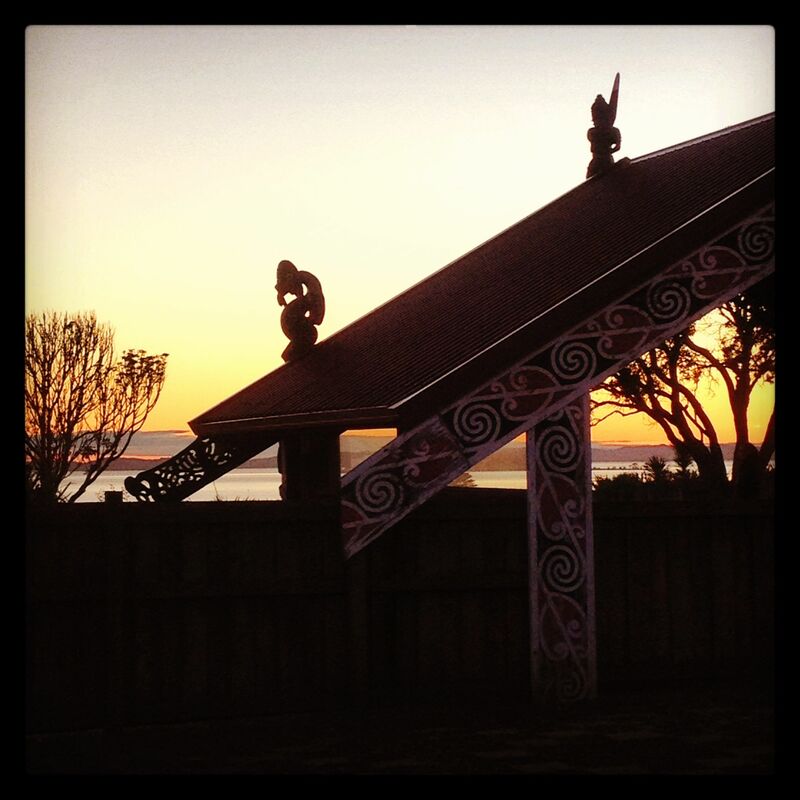 Sunrise at the Orakai Marae. 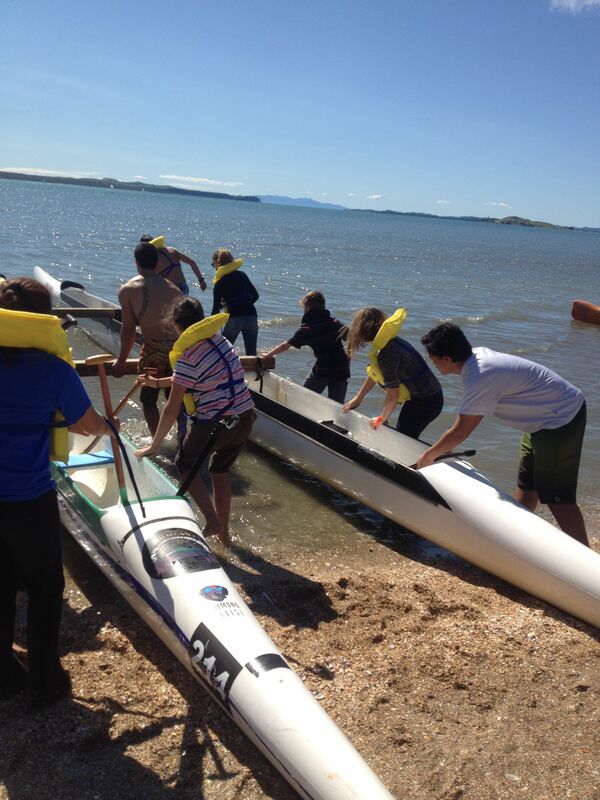 Preparing to go out into a double-hulled waka in Mission Bay. A little hail in Athens. Prost! Radler on the Rhine. I ordered a Berry Smoothie. A 🌈 of flavor! No shortage of springtime bliss. A local garden shop is exploding with color.